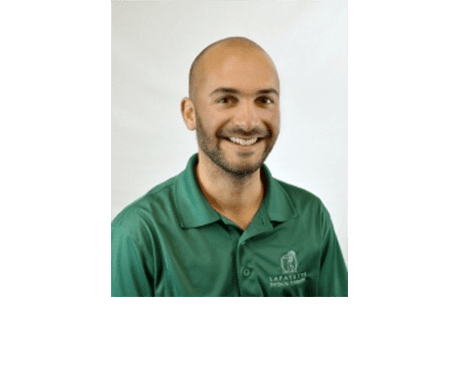 Bio: Beyond the training within his doctorate degree, Abel has gone on to study Myofascial Decompression, Muscle Energy Technique, and has studied with the North American Institute of Orthopedic Manual Therapy in the areas of the cervical spine and the lumbopelvic spine. Training: Doctorate in Physical Therapy (DPT), University of California, San Francisco and San Francisco State University. Bachelor of Science (BS) in Kinesiology, Sonoma State University. Specialties: As a former collegiate baseball player, Abel enjoys helping athletes of all skill level regain function and prevent future injury. Abel believes in a holistic approach to rehabilitation, which includes a combination of manual techniques with individually tailored exercises designed to maximize function and performance. Hobbies: Outside of the PT clinic, Abel is an avid golfer, plays tennis and enjoys weekend getaways for camping trips.